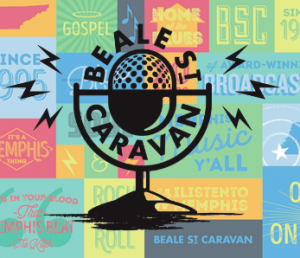 Beale Street Caravan, the most widely distributed blues radio program in the world, attracts more than 2.4 million listeners each week. Produced in the home of the blues and the birthplace of rock & roll, Beale Street Caravan covers the world with The Sounds of Memphis. Each week,our audience experiences the heartfelt sounds and colorful stories of Memphis music in intimate, live-in-concert performances. Heard daily on WHIP Blues Radio from 11:00am to 12 Noon Pacific Time.